After an enormous push into the premium air purifier market with the impressive Honeywell HPA600B, the American manufacturer is back in budget territory with these Honeywell HPA020B and Honeywell HHT270W. You might wonder how this budget air purifier can do? Well, let’s find out in our Honeywell HHT270W Review. The Honeywell HHT270W is a product manufactured and distributed by Honeywell, a Fortune 100 company with inventions and technologies spreading in nearly every aspect of the world challenges. We’re happy to deliver the Honeywell HHT270W Review to help our audiences know one best air purifier in $50 range. This air purifier is truly what Honeywell throws out to compete in the lowest budget segment. This movement is pretty reasonable, especially when Honeywell has churned out a whole bunch of devices at under the $200 mark over the past year or so. To be quite honest, this price range is still the best territory for Honeywell, where Guardian Technologies is also a strong participant. Together with HPA020B, the Honeywell HHT270W is scoring again in $50 price range – the budget low-end air purifier market. This air purifier has a good price tag of only $59, which is $20 lower than the True HEPA air purifier – HPA020B. For that price, Honeywell HHT270W is a real competitor with the GermGuardian AC4100 and Levoit LV-H126, which has a good HEPA filter and UV-C light filter. Other American devices can compete in this field are the Hamilton Beach 04384 and Holmes HEPA-Type Air Purifier. Moreover, Breathe Quality is always sharing for our audiences. We will give you an up to %50 discount if you are using our deal today. 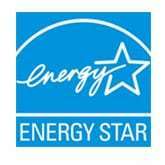 Honeywell HHT270W HEPAClean Tabletop Air Purifier (with Energy Star). White Edition. Captures up to 99% of fine airborne particles from the air passing through the HEPAClean filter. The Honeywell HHT270W is very similar to the HPA020B. Very similar indeed. You have a same 11″ x 12″ air purifier, a same weight of 4.8 lbs and exactly the same cube design language. The only spot-the-difference stuff is the White color for Honeywell HHT270W, while the HPA020B is Black. Well, there’s not much to say about the common design language of Honeywell HHT270W. This side-to-top air flow system, with an air intake grill from the front and one air outlet grill on top, Honeywell HHT270W can easily maximize the efficiency of its fan power. On top of this air purifier, there is one switch to change fan speed manually. Another difference from the HPA020B is the lack of True HEPA filter, meaning there is no electronic indicator for filter replacement. With such small size, Honeywell HHT270W is lighter than even the Levoit LV-H132 (with 6 lbs) and the Honeywell HPA060 (with 6.4 lbs). If you don’t mind using the Tower air purifier, you should have a look for the Honeywell HHT290WHD Hepa Clean Tower Air Purifier. The top reason why Honeywell HHT270W can be sold for only $59 is because it doesn’t contain a True HEPA filter. For that reason, it can easily reduce one $23 layer of air filtration, making this air purifier run with only 1 simple stage of air cleaning. 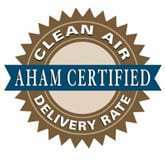 HEPAClean Filter – The HEPAClean filter has Activated Carbon filter in it. This will both help absorbs VOCs, gases, odors and traps larger particles. With only one common pre-filter, called the HRF201B, Honeywell HHT270W can only capture 99% of airborne particles at 2 microns. 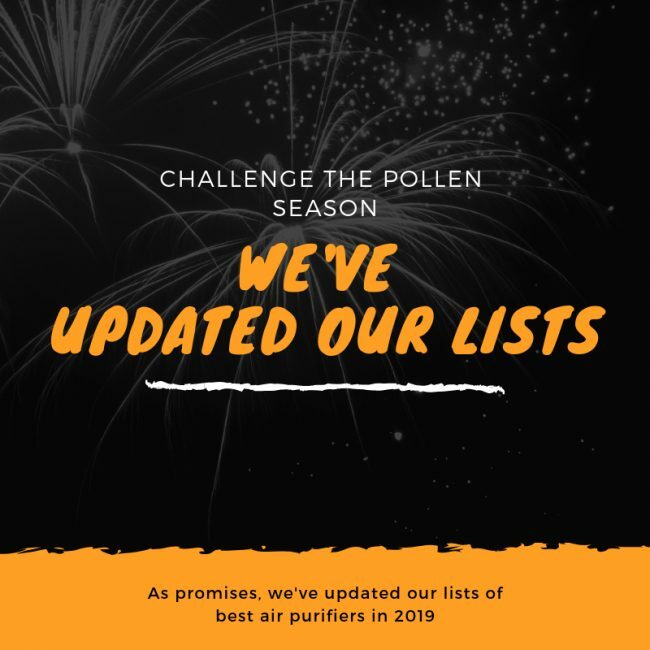 While this air purifier still can capture the PM 2.5 particles like mold spores, pet hair, dust or pollen, these particles are only 1% of all airborne particles. If you have serious allergies or asthma, you should not use this Honeywell HHT270W. For the best performance, it is recommended to replace the HRF201B HEPAClean filter after 3-4 months of using. It is only $13 for one set of air filter. Using the same designed fan as the HPA020B, Honeywell HHT270W can cover a room of 85 sq ft with no problem. The GermGuardian AC4100 can cover only 100 sq ft, which is not much a difference from Honeywell HHT270W. However, the ACH of Honeywell HHT270W is still 5x. That means this air purifier can clean your room effectively 5 times per hour, resulting in a much larger room coverage. The CADR of Honeywell HHT270W is 68 Dust/ 55 Smoke/ 65 Pollen (cfm). This CADR rating is even better than the Honeywell HPA020B, or Honeywell HPA060. With such a low fan power like HPA020B, Honeywell HHT270W is truly quiet, and can be the new bedroom-centric air purifier of this brand in 2019. This air purifier runs with 3 fan speeds, and hardly make any sound at lowest setting. Even at highest setting, the noise level is acceptable. 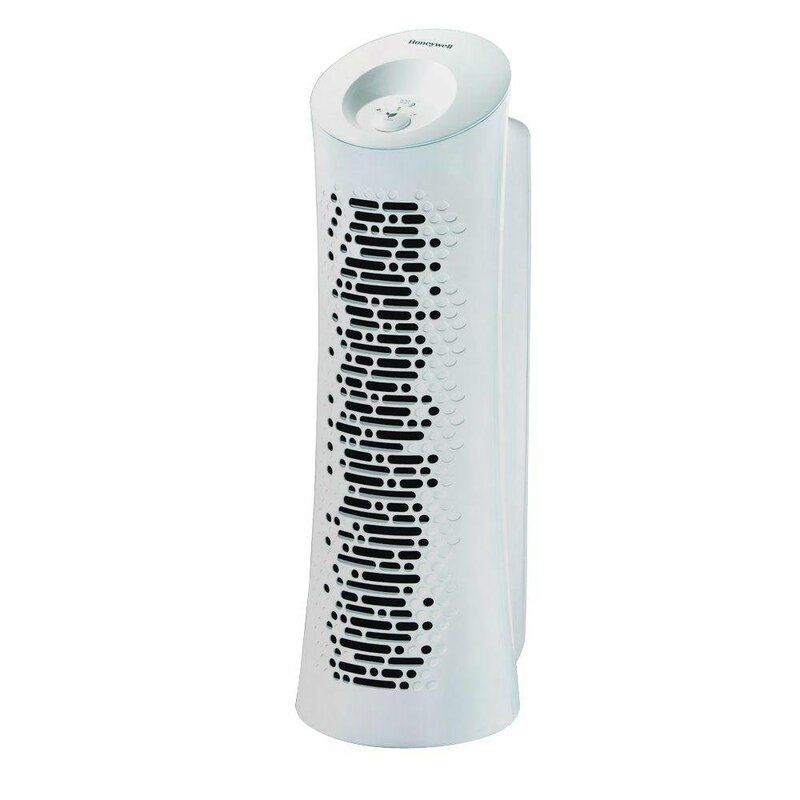 If you are planning to purchase one air purifier in your office or when you sleep, we believe that the Honeywell HHT270W is suitable for you. One of our most FAQs is “Do air purifiers use a lot of energy?” because we need to run an air purifier for a constant long time, and power consumption is really a thing to consider. With a standard Energy Star certification, the power consumption of Honeywell HHT270W at highest setting is around 27W, which is better than both Honeywell HPA020B and Levoit LV-H132. This air purifier is truly for running the whole day. For using a Honeywell HHT270W 8 hours per day, it would cost you about $8 annually. Honeywell HHT270W is a $50 air purifier. Yes, what could you expect from such a low-end device like this? With only one manual switch to control the fan speeds, there is nothing else to use with this air purifier. If you are looking for a Smart air purifier of Honeywell, you need to look for Honeywell HPA 600B. As an entry-level air purifier, especially for the first time users, Honeywell HHT270W is a good pick. However, I personally recommend using the Hamilton Beach 04384, with a great Permanent HEPA filter. Or else, you should pay for $20 to have the most affordable True HEPA filter from Honeywell HPA020B. Should I buy Honeywell HHT270W? Yes, but you should consider upgrading to the Honeywell HPA020B, with the True HEPA filter. If you have serious allergies or asthma to airborne pollutants: the Honeywell HHT270W is decent with its HEPA-type air filter. If you want a better performance, or better fan power to clean your room faster: in this price range, the Honeywell HHT270W has an average fan power. If you need an air purifier with a better room coverage: you can buy the Honeywell HPA030B or Honeywell HPA100 with double the price tag of Honeywell HHT270W. If you need a budget version of this air purifier: this is the most budget air purifier of this brand. If you need a more silent air purifier: you should get the Levoit LV-H126 or Levoit LV-H132 instead. If you care about the annual filter cost and energy cost: the Honeywell HHT270W has the most affordable air filter for the price. If you love the additional features: you can only get the AeraMax 100 for the Smart Sensor. The starting air purifier of Honeywell is okay for the price, not for the performance.